The Star Flyer is a stunning tall ship, gleaming with polished brass, and modern amenities. 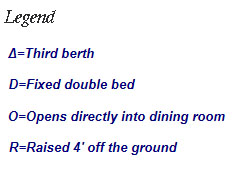 Carrying just 170 guests in sumptuous style, her décor is reminiscent of the elegant grand age of sailing. 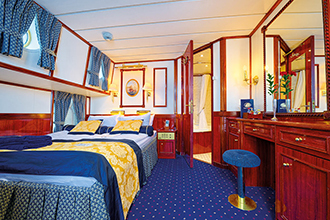 Designed for those who love luxury, this sister to the Star Clipper offers a breezy ambiance, perfect for visiting some of the world’s most beautiful destinations. 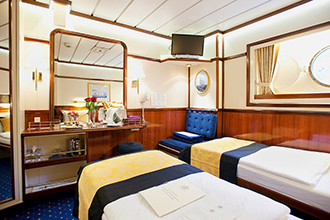 Casual elegance is the backdrop throughout the ship for both day and night. 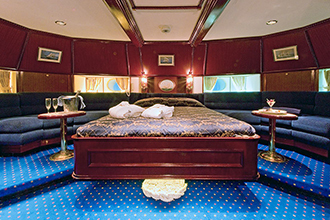 If you prefer or want to try the yachting experience this majestic ship is ideal, providing an unforgettable vacation to those who covet a bygone era of tradition and romance on the high seas. This true masted clipper ship houses stunning antique prints and paintings of famous sailing vessels. 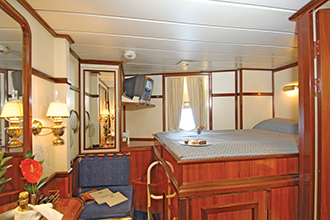 Spacious and well-appointed staterooms with en suite bathrooms, an Edwardian-style library with a glowing Belle Époque fireplace, teak decks with two swimming pools and covered lounge areas are just some of her features. During port days passengers can enjoy a variety of complimentary water sports, such as kayaking, snorkeling and water skiing directly off the gangway. Daily morning exercise and popular yoga classes will help you maintain your fitness routine. Supervised mast-climbing to the crow’s nest is a once in a lifetime adventure. Creative chefs make dining a delicious and memorable culinary adventure. The elegantly furnished, open-seating, dining room plays host to an exciting international menu, with cuisine and recipes procured from the far corners of the earth. Expansive and varied buffets feature impressive selections for breakfast and lunch. Designed for comfort and pampering, accommodations feature private bathrooms, air conditioning with individual thermostats, hair dryers, TV and a DVD player, plus other amenities sure to make the discerning traveler feel right at home. Relaxed and fun evenings revolve around the convivial Tropical Bar, an indoor/outdoor watering hole, popular for five o’clock snacks, pre-dinner entertainment, late night socializing and dancing. Enriching the experience, local entertainers often come onboard, adding a unique insight into the destination. Another live music venue is The Piano Bar, another favorite hang-out. Filled with fun and relaxation, the Star Flyer makes the ideal vacation choice. Cruise to exotic locales on the lovely Star Flyer including the magical Caribbean islands. 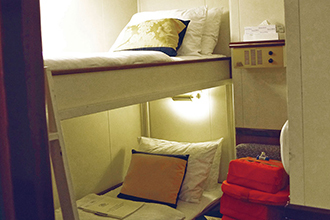 All Star Clippers ships feature open-seating dining in an elegantly appointed dining room. An Edwardian style library where a Belle Epoque fireplace glows with a soothing warmth. Unwind with a cool drink and your favorite song in the piano bar.